It was a drizzly summer day, a great backdrop for the Massage and Bodywork Day at Laughing Waters Retreat Center at Hickory Nut Forest Eco-community. About a dozen therapists came together to teach different modalities of massage to a great group of interested people - both therapists and non-therapists alike. Yesterday was the half way point. The time of year when the sun is at it's zenith, the days are long and the weather is hot. 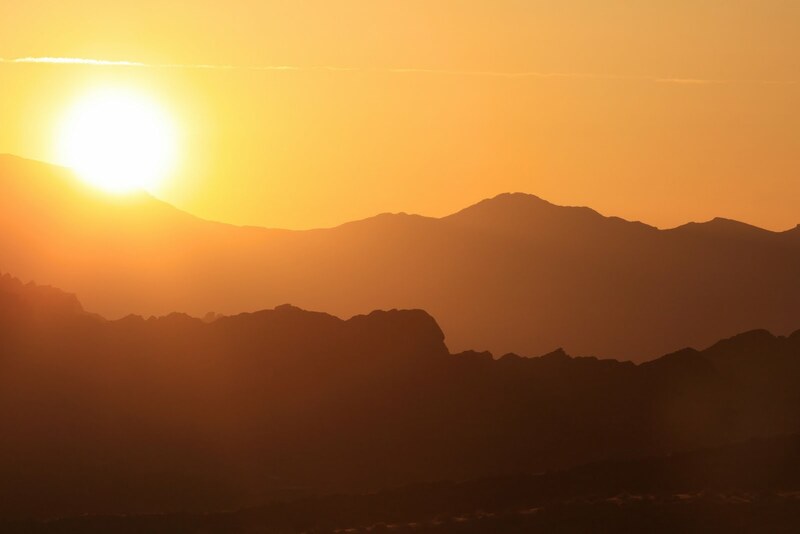 In many traditional cultures, the sun represents the active, dynamic, life-giving forces of the universe, and the summer solstice a time to celebrate, give thanks and mark the transition into the dark half of the year. It is also a time to honor the wild-things that cannot be tamed. 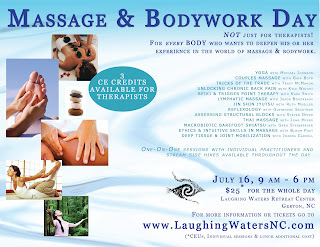 We're providing another unique day to share the beautiful gift of touch, nature and community at the Day of Massage & Bodywork on July 16 from 9:00 am to 6:00 pm. It's NOT just for massage therapists! Everyone is welcome to explore the world of massage.